It’s over! 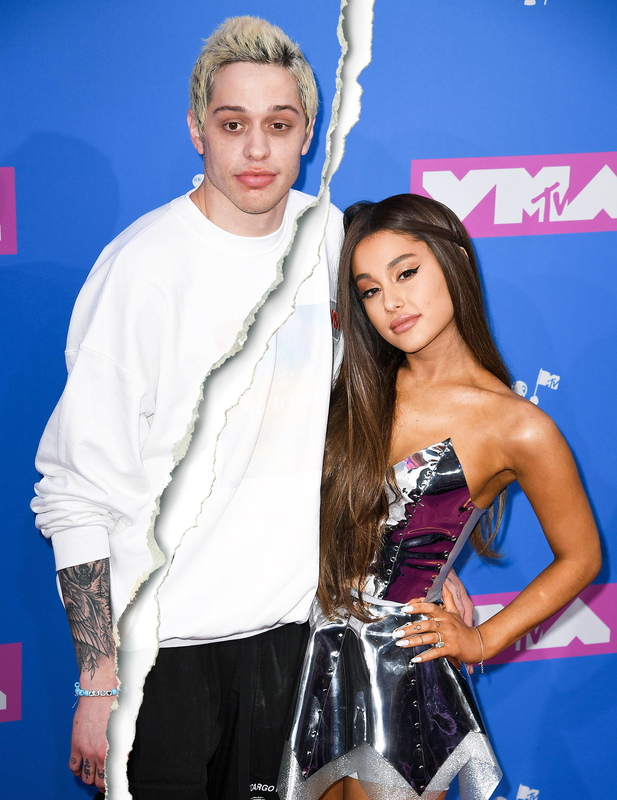 Ariana Grande and Pete Davidson have ended their engagement after just four months, Us Weekly can confirm. The “No Tears Left to Cry” singer, 25, and the comedian, 24, got engaged in June after only a few weeks of dating, with Grande showing off a huge $100,000 diamond ring. Davidson soon moved into his fiancee’s multimillion-dollar NYC apartment and the pair weren’t shy about documenting their love, sharing messages on social media and getting several tattoos dedicated to each other. Grande even recording a song for her new album named after her love. The split comes as Grande has been going through a difficult time in the wake of her ex-boyfriend Mac Miller’s death. The rapper, who dated Grande for almost two years until their split in May, died at the age of 26 of a suspected drug overdose on September 7. Grande pulled out of a scheduled SNL appearance at the end of September and canceled a planned performance at a cancer benefit in L.A. honoring her manager Scooter Braun’s wife on Saturday, October 13. Her rep announced in September that she was taking time off in the wake of her ex’s death, and as she continues to suffer anxiety after 22 people were killed and hundreds injured by a terrorist attack at her concert in Manchester, England, in May 2017.